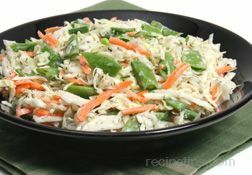 Asian flavored salad that has only a few ingredients but everyone loves it. The toasted noodles and seeds bring out a nutty flavor. Toast crushed Ramen noodles, almonds and seeds over medium heat in a dry skillet for 5-10 minutes, stirring constantly so as not to burn. 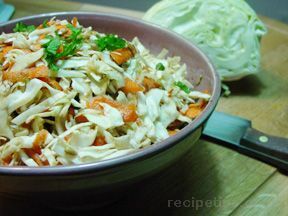 Chop cabbage and onions and place in a large bowl. Mix salad dressing ingredients and pour over salad mixture. 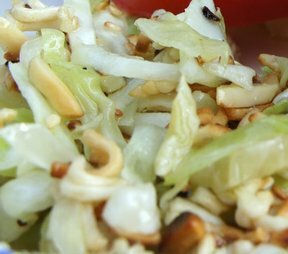 Top with toasted noodles and nuts. "My favorite salad of all time. 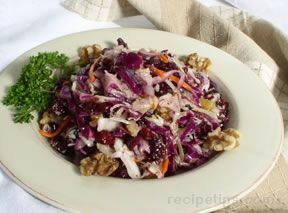 It doesn't keep, so be sure to put the dressing on right before serving."